Sponsoring a child will provide you with a link to an individual child who currently lives at either Bethel or Joy. You will be able to see the lasting effects your support can bring. 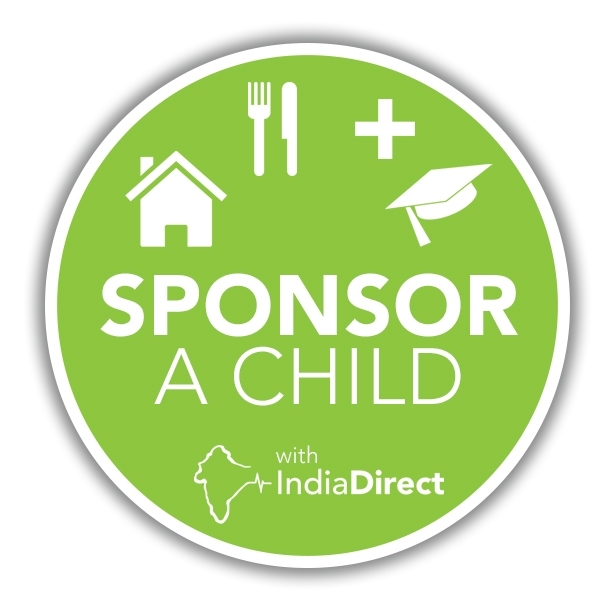 You will find out your sponsored child’s history, the reasons why they are staying at the Home and will get letters twice a year to see them progress under the care of India Direct. Child sponsorship makes a lasting difference. Our children go on to apprenticeships or further education, an opportunity they would be unlikely to have without your help. Remember, every penny you donate is directly changing lives. For £30 a month you can change a child's life forever. Convinced already? 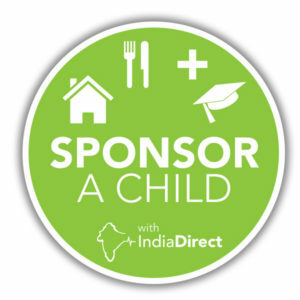 Click here to sponsor a child now! Whatever the family circumstances which bring children to our homes, all are given a fresh start in life. We support over 160 children in our children’s homes, where many are currently not sponsored, although all treated in the same way. Your sponsorship of £30 per month – just £1 per day – is a gift of unimagined riches. It enables us to provide a safe, secure and clean home. Children eat nutritious, healthy food and are able to drink clean, fresh water. These fundamental things, which we take for granted, are by no means the everyday experience of the children when they enter our homes. 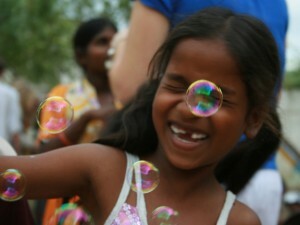 In our care, they receive basic medical care and an education. We also provide additional evening tuition for the children as we know that education provides the means for them to escape poverty. 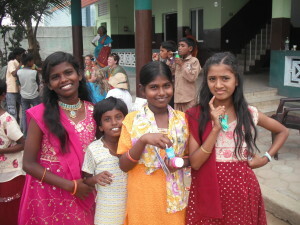 We try to provide a family atmosphere, unlike other children’s homes in India. We will give this care for as long as necessary, fostering for just a few months or for an entire childhood. Our children have no fear of being hurt, no worries about where to get food or find shelter, and they receive an invaluable education. We aim to prepare our children for an independent future with the skills to give them a livelihood when they leave. Our children are treated as individuals. 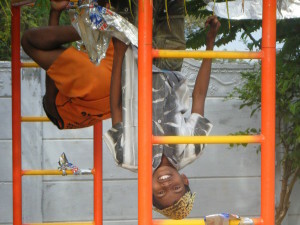 They are free to choose clothes, play and dream about the future. We maintain family bonds because when our children leave us it is important that they belong in their local community. 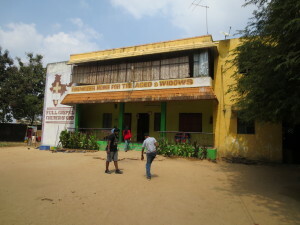 Once a month the homes are open for children’s parents and family to visit. We pay for their transport costs if they are able to visit, though unfortunately many are too sick or too far away to travel. When children first arrive, it can take them months to recover from the traumas of life. Different food, personal hygiene and the discipline of school and living in the Home all take some getting used to. Within a few months, children begin to recover and spark back into life. Watching them at play, we see how well they are doing, but we know their stories and do not underestimate their difficulties or the possible long-term effects. Our children are the fortunate ones. They come from families living below the poverty line, hungry and exhausted by worry, living rough in makeshift huts, under bridges or even in dried up riverbeds. Parents are uneducated, lack regular employment and can suffer from untreated medical conditions or additions. Visiting parents are happy and relieved to see their children doing well and they trust us to care for them. They say that our homes are the only hope for their children. This high quality of care is only made possible through our sponsors who provide us with a regular income to support the Bethel and Joy Children’s Homes. At present not all of our 160+ children are sponsored and we rely on fundraising events and one-off donations to cover the deficit each month. We are actively seeking new sponsors to ensure the financial security of the homes. ✔ A safe, secure home with grounds to play in. ✔ Food, clean water, clothing and basic medical care. ✔ An education, including school fees, uniforms and stationery. ✔ Running costs of the homes, including the wages for our Indian care staff, utility bills, borehole maintenance for clean drinking water, minibus repairs, sewage removal and essential government regulatory costs. ✔ Vegetable gardens and livestock which help to increase self-sufficiency. 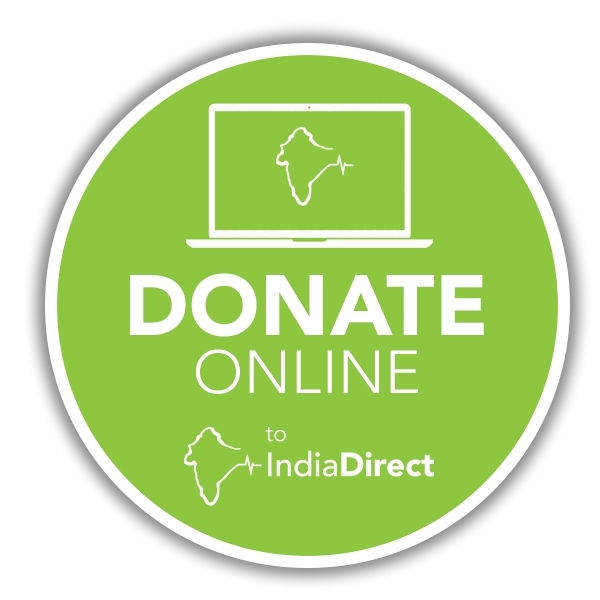 India Direct is a small charity, but one which is highly accountable to its supporters. We aim to show you that we are responsible and spend your donation directly on the children at Bethel and Joy. Remember, 100% of your sponsorship donation will go towards the care of the children at Bethel & Joy, not on UK admin fees, marketing or plane fares. ✔ A sponsorship pack detailing how our children’s homes are run and giving you information about what your sponsorship is going towards. ✔ A detailed child history for the child you sponsor, including photos. ✔ A Christmas greeting, as they know about the cultural importance of Christmas in the UK, and usually one other letter during the year to let you know how they are getting on at school. ✔ Regular newsletters from India Direct detailing our work. You can write to your sponsored child to tell them something about yourself too. 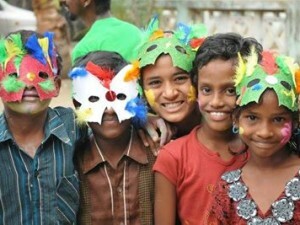 It might also be possible for you to meet the child you sponsor, if you’re really adventurous and fancy a trip to India! What makes sponsorship with India Direct unique? 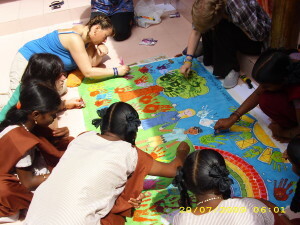 India Direct is a unique charity in a number of ways. We are fully accountable, spend 100% of your donation direct on the children and we are honest with our supporters. We know that donating money to a country halfway across the world can be daunting. We attempt to be accountable, publishing our accounts online each year. We also make regular visits to India (paid for out of our own pockets) in order to see for ourselves the work done with your donations. We are aware of India’s stereotypical reputation of corruption and do everything we can to make our organisation as transparent as possible. 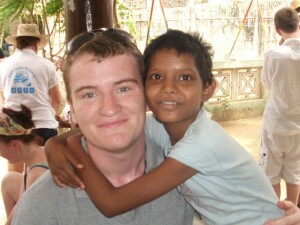 Our partners in India are very reputable, loyal and honest people. They have dedicated their lives to helping those less fortunate than themselves and run a properly regulated, audited charity. We are proud to support them in this. At India Direct we have a simple philosophy. 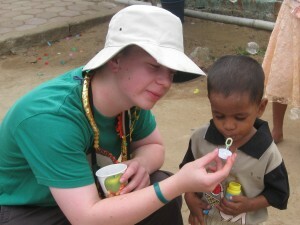 For every penny that we raise or receive in donations we spend 100% on those that matter. We don’t spend money on UK staff, marketing or plane fares. We audit our accounts and ensure accountability by making regular trips to India paid for by individual trustees. Inevitably some money is required to finance essential items like stationery, postage or money transfer costs, but we don’t ever spend your donation on these. We fund this through a small proportion of Gift Aid received from the government. It makes up a maximum of 1% of our entire income. This is important to us. We are proud to be able to show our supporters that we carefully use every pound they donate to us. We know it’s important to be honest: we won’t show you pictures of poverty-stricken children which will never represent the true poverty in India. We don’t want to mislead you and will be accurate in the news and information we give you. For example, on our website we prefer to show you pictures of the children in our homes, enjoying their lives and education because they are supported by people like yourselves. 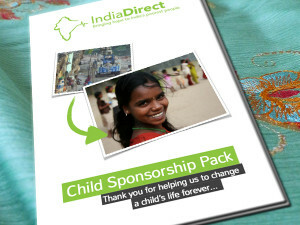 Other charities will show pictures of potential children to sponsor as if they are to be purchased or decided between. India Direct are fundamentally opposed to this idea. Children are sponsored on the basis of whether they are likely to be in the homes for a long period of time and are admitted to the homes on the merits of their ‘need’ for care. We will give anonymous examples of children we support in order to show potential sponsors how their donation could help, but we will never display our children’s private histories online. 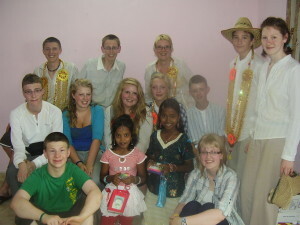 I first knew of India Direct through my time at Poynton High School and as a member of the Poynton High School India Project. 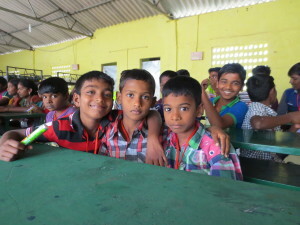 I started sponsoring Karthagavini as I knew from previous experience that all of the sponsorship money given through India Direct goes to the support of the child, and covers the child’s living costs and education. My experience as a sponsor is an entirely positive one. 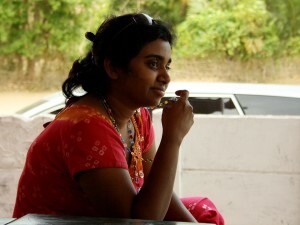 I was really privileged to be able to travel with the original school trip in 2009, and actually meet Karthagavini. The experience meant so much to me that I went back again in 2011, and I still support India Direct as much as possible even at university. Over the years my family and I have kept up a regular correspondence with Karthagavani, with Christmas cards from both her and the charity. This is important to us, as it shows the charity values the sponsorship money we give and we can truly feel a connection with her. It means we know she is being well cared for, enjoys her time in the home and we can see her grow and mature.